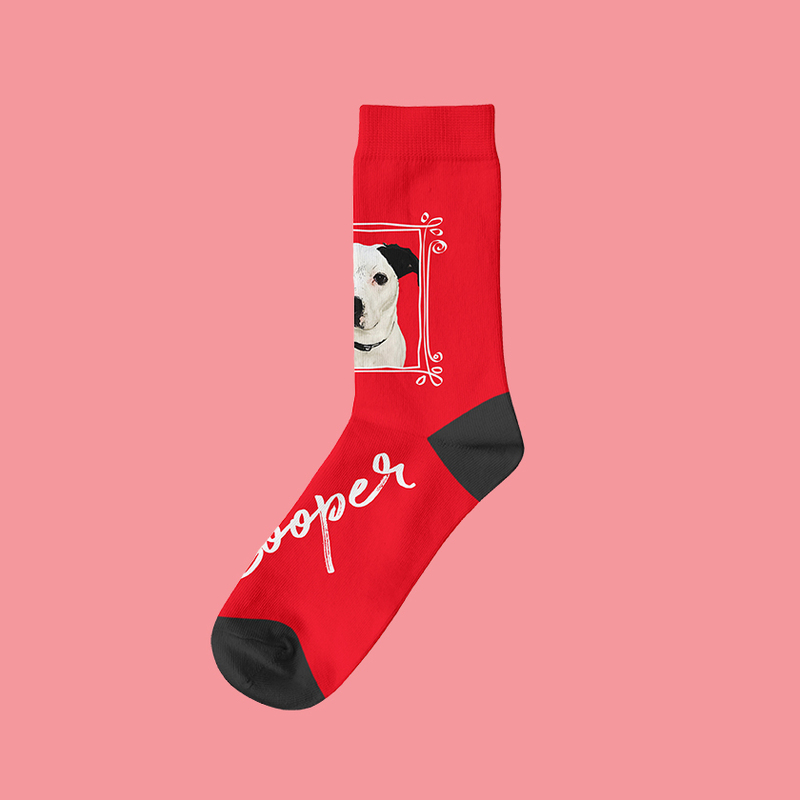 Get a pair of custom socks with your dog face on it. Great outfit detail for all dog moms and dog dads. It's also a perfect choice for Christmas, Valentine's day or birthday gift. Your dog will be digitally painted to become a real piece of art. 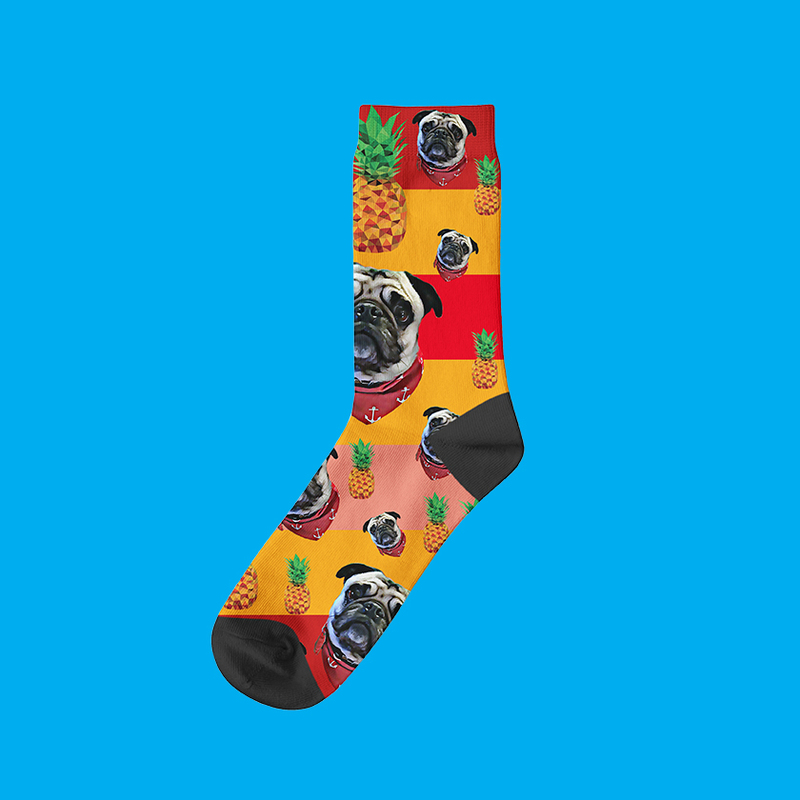 Create the perfect pair of socks for dog owners in a just few clicks. 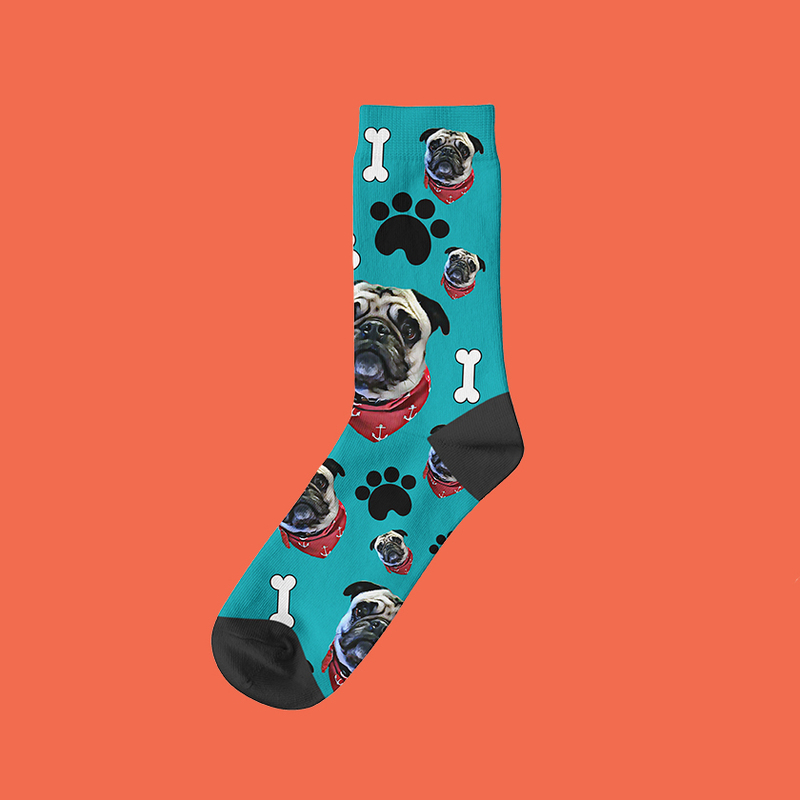 Print your custom dog socks to bold your style and show how much you love your dog. The pattern collection is available in many different variants and 15 color options. Above all, there are three different size types: crew, 3/4 crew and ankle socks for every season and different styles. We're adding new patterns every month so be sure to follow us on Facebook and Instagram to always be updated with the latest designs. The frame collection is available in many different design variants and comes in 15 color options. Pick your favorite socks color: Yellow, Red, Navy, Fuchsia, Green, Blue, Olive, Pink, Brown, Teal, Turquoise, Lavender, Beige, Maroon and Orange. Bet you have dozens of images of your dog on your phone! Send us your favorite, and we'll create the cutest dog socks you ever have seen. Moreover, you can add a dog name on socks and make them even more personal. Stand of the crowd with even more unique socks. The rainbow custom socks collection combines popular artworks such as icecreams, pineapples or donuts with a dog photo. Any socks design from rainbow series is available in 7 different color combinations, each for one day in a week. Every single pair of custom dog sock are made-to-order and hand-inspected from corner to corner. That's how we create a 100% perfect product.